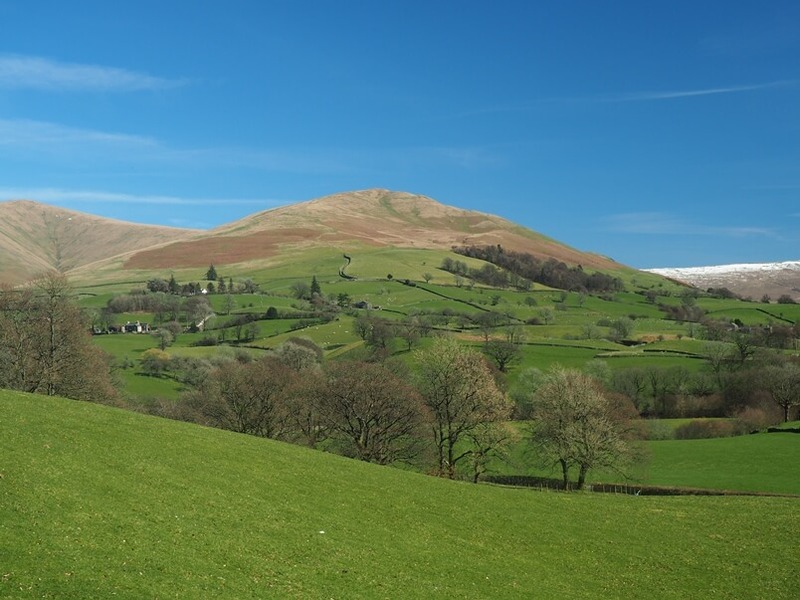 Winder is the southernmost hill in the Howgill Fells and rises steeply above the town of Sedbergh which it dominates. 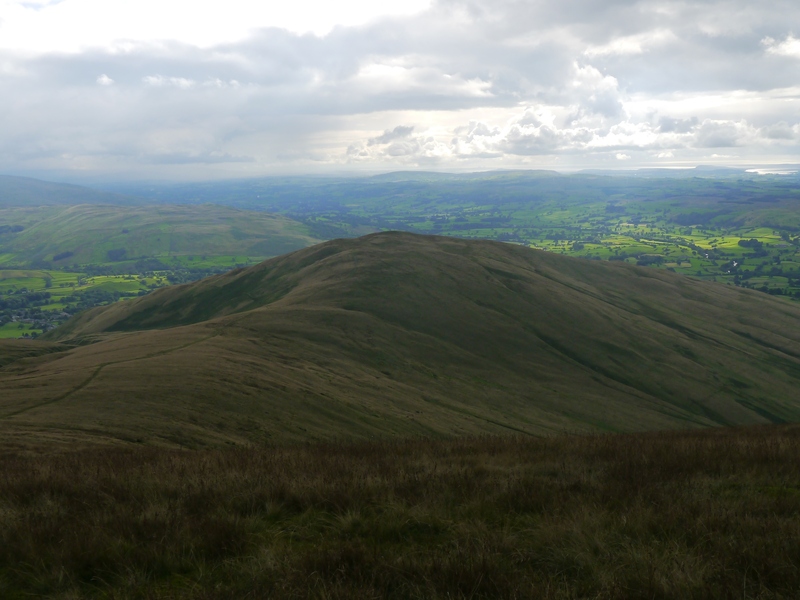 At only 473m in height Winder is in fact one of the lowest hills in the Howgill Fells. 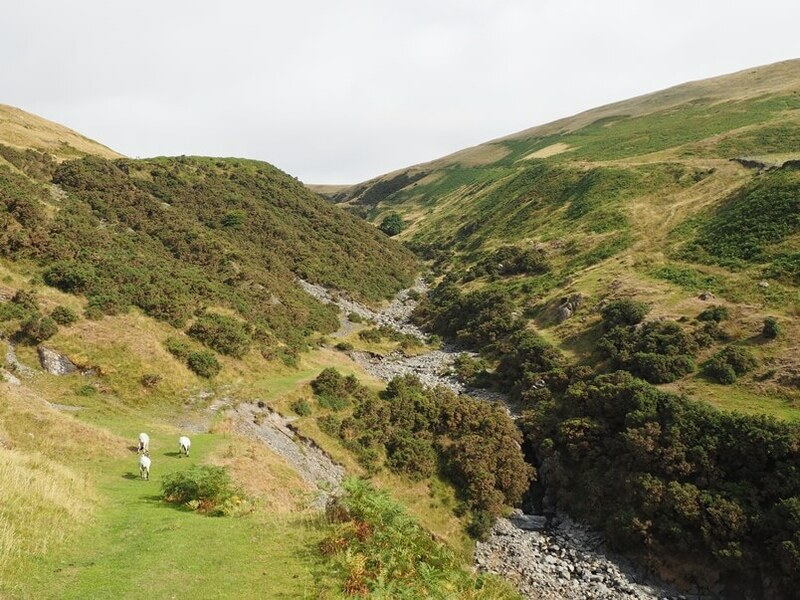 However, its location at the the southernmost point of the triangle of hills that form the Howgills, ensure that Winder stands out more prominently than many of its neighbours. Winder’s close neighbour Crook is of similar height but does not quite attain enough prominence to get its own listing on the Database of British Hills. Winder is joined to its parent fell, Arant Haw, by a col to the north-east which is 441m in height. This means that, despite its apparent prominence, the actual prominence of the fell is only 32m. It is worth noting that Arant Haw itself is known locally as Higher Winder. 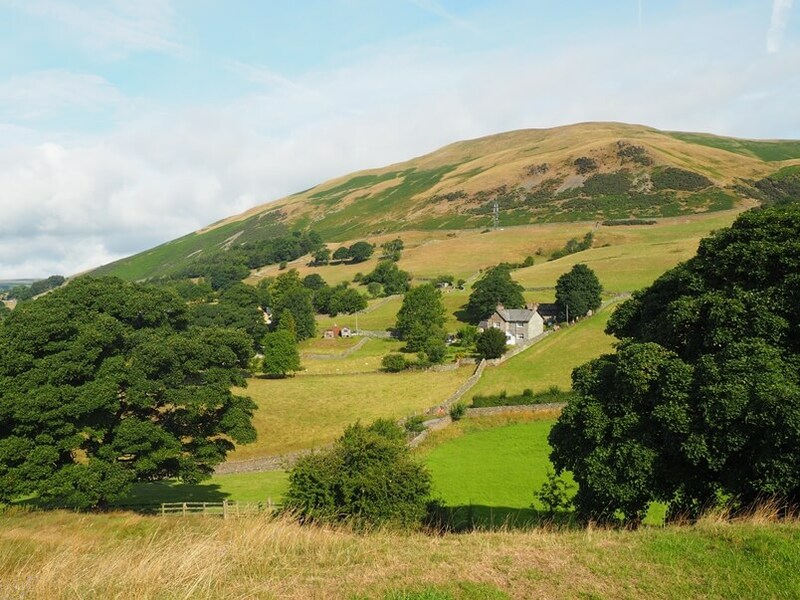 Winder is inextricably linked to Sedbergh which sits at the foot of the fell. 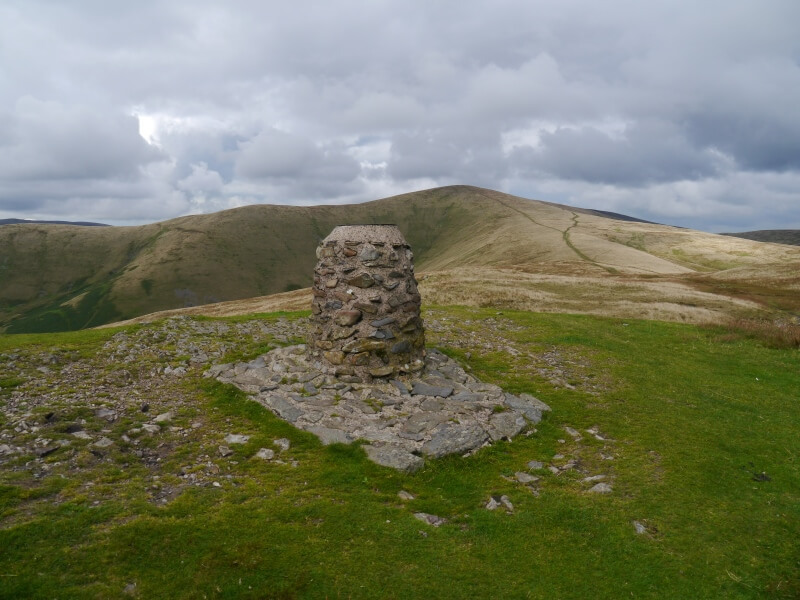 The close proximity of the town means that Winder is without doubt one of the few genuinely popular summits in the Howgills. The two main routes on to Winder also start from Sedbergh. One is a bridleway leaving Lockbank Farm on Howgill Lane to the north-west of the town. The other popular route leaves the town by either Joss Lane or Castlehaw Lane to continue up alongside Settlebeck Gill. At the head of the gill it is then necessary to double back to the summit. Alternatively, as the path passes through an iron gate at the intake wall there is a direct route, unmarked on the map, which climbs steeply north-west to summit. 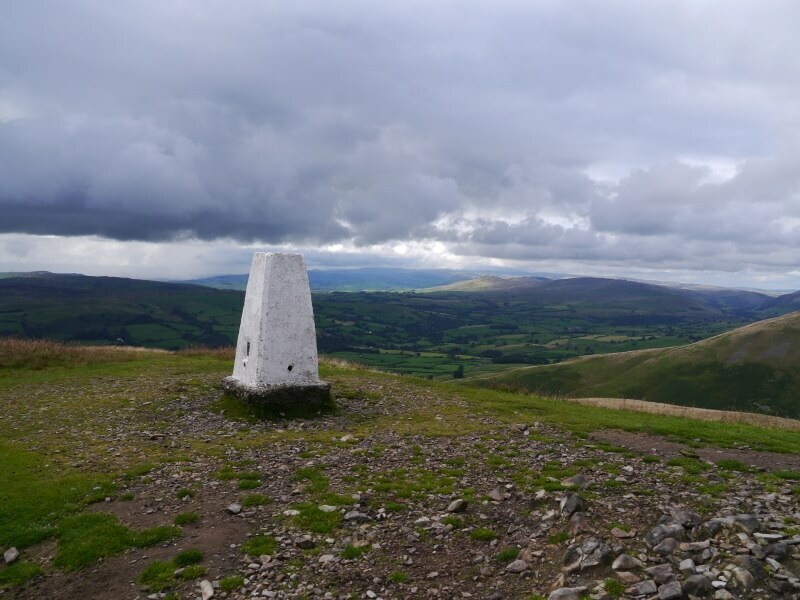 The neat summit area of Winder is marked by a view indicator and an Ordnance Survey trig point. According to the Database of British Hills the highest point of the fell is the ground 1m west of the view indicator. The view from the summit is excellent. To the north and south there are good views of the Lune valley whilst away to the west the southern fells of the Lake District can be seen on a clear day. Below to the east is the Rawthey valley and beyond that Garsdale. 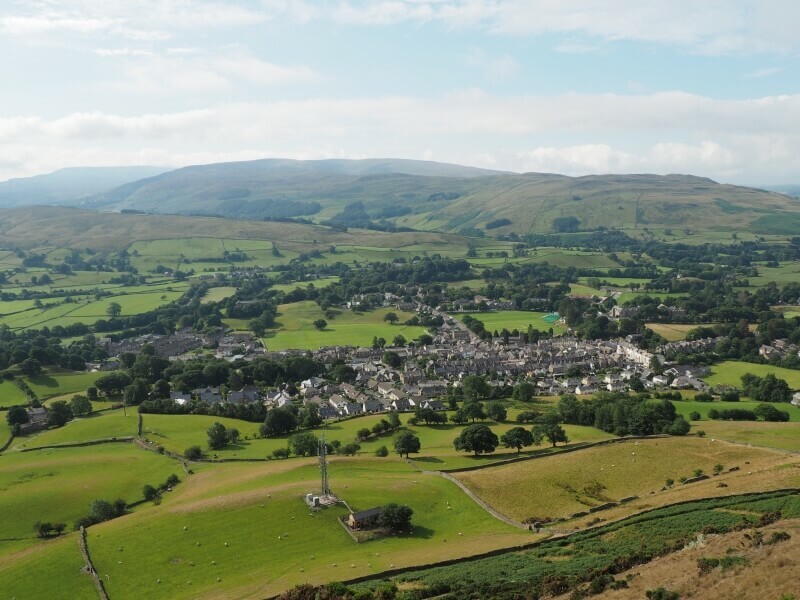 A glimpse of Dentdale, backed by the heights of Great Coum and Whernside can also be seen.